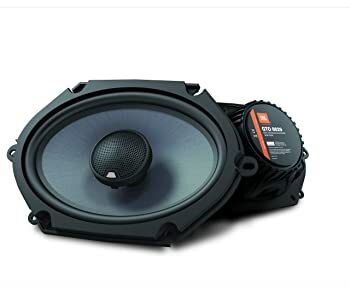 1.6 Do I Need New Speakers? 1.7 Do I Need to Purchase Tweeters? 1.8 Can I Use the Factory Radio to Power My Speakers? 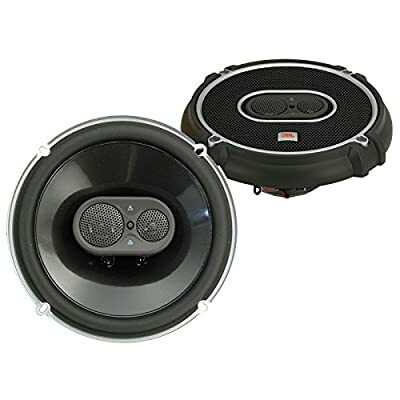 A car’s audio system is not complete without the best 6×9 car speakers to complete all the sound frequencies for you to really enjoy your music. It doesn’t just improve the overall quality of your sounds, it also ensures that you can hear the vocals more clearly and life-like that it feels like you are in a live concert. New speakers allow you to save money on tickets and enjoy jamming with your favorite musicians inside your car. Since shopping for new car speakers is not an easy task, here are some information that may help you decide. JBL has been around for decades proving that they know their stuff when it comes to the best 6×9 speakers in an audio system setup. The JBL GTO938 is a 3-way loud speaker that uses 12 mm, lightweight and durable Mylar Titanium tweeter with a big voice coil. This kind of voice coil is usually found in high-quality audio speakers. The voice coils also improve power handling and prevent distortion during high volume levels. This kind of setup will surely give you a better sound quality while you enjoy driving. With its unique design, these tweeters help create better integration with the audio system’s woofer. It is even made to be adjustable so you can modify it for better sound. In addition, it also has a 25-mm My-Ti speaker that acts as a dedicated driver to give you a rich sound throughout the speaker’s mid-range frequencies where you can find most of the vocals. Normal loudspeakers use low-end bass blockers to make sure that the bass sounds are not directed to the tweeters. However, the JBL GTO938 is not a normal low-end loudspeaker because it uses an integrated network that has its high and low filters. This is the reason why the JBL GTO938 produces a smooth transition between its tweeters and woofers, resulting in clear and lifelike vocals. If you want to do justice to your favorite song while you drive, these are the speakers to get. Rockford has been making the best 6×9 speakers for almost 30 years now and is still delivering great quality sound. The Punch P1694 is built with the best speaker construction including butyl rubber surround and mineral filled polypropylene molded cone. It was also built with a Flexfit basket that uses slots instead of screw sized holes, letting you adjust the speaker even when it’s already mounted to give you more flexibility. If you want better quality sound, you can expect a smooth transition of sound with the PEI dome tweeter that is included in these speakers. These materials all work together to make sure that they deliver crystal clear sounds in all kinds of frequencies. When it comes to installation, you don’t have to worry about a messy look thanks to the Integrated Concealed Crossover (ICC) which hides your speaker’s crossover inside the basket. When it comes to loudness and power, you can count on the Vertical Attach Surround Technique that is used in these speakers. It is responsible for the speaker’s increased radiating cone area of up to 25% more, minus the extra installation that can be very complicated. This way, you can make sure that your speakers provide the loudness and power that you need to keep you entertained while you drive. As expected, Kenwood delivered 6×9 speakers that are also one of the best-selling speakers in the market today. These budget-friendly speakers are the best replacement for your OEM speakers and its 3-way feature offers a wide range of sounds for your music. They are made to be highly-efficient so they can be integrated with your new or default radio power. This is great help especially if you are on a tight budget and only have money for speakers. These full range speakers are the best 6×9 speakers that you can buy for your vehicle’s sound system because of its construction. The polymer-injected woofer cone comes with a rubber surround that makes sure your sounds are as clear as ever. It has a 1-inch tweeter and a 2-inch cone made of polyimide that serves as your midrange speaker. This combination of speakers delivers the greatest sound for an awesome experience. These Kicker 6×9 speakers are great for offering mid and high tones to complete the sound quality of your favorite songs. This is a great set of speakers that are sure to compliment your subwoofers and make your car audio system sound even better. You can even consider installing these speakers yourself because the package already includes all the mounting hardware, grilles and wires. A good thing to take note of is that these speakers are very cheap. It runs on 70 Watts of RMS power and 140 Watts of peak power so you will never run out of power for your all-nighters. It can work with any subwoofer and amp because of its neutral 4 Ohm Impedance and it creates the best quality sound with its sensitivity of 92 dB. These configurations are sure to boost your music experience and impress the people in the car while you travel. Another great thing about this product is its 2-year warranty. Although it might not seem important, warranties give you peace of mind that you won’t waste your hard-earned money on a product that won’t last long. 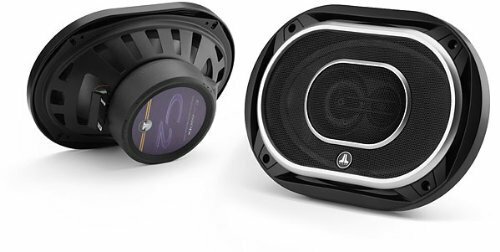 Get the best speakers in town to add to your car’s audio system and turn heads when you pass by. Do I Need New Speakers? Yes. The technology used for the best 6×9 speakers is advancing and it started to be so good that you no longer need to be a sound technician to tell the difference between good quality sounds. 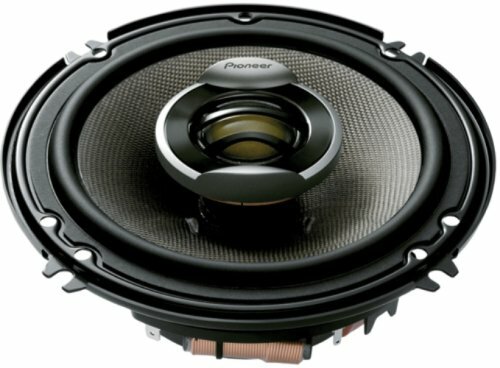 If you are still using the factory-made speakers that came with your car, chances are they are already worn out and not producing the best sounds. Once you buy newer speakers, you will surely notice the sound difference. Do I Need to Purchase Tweeters? Tweeters are not very essential but they do help with the overall sound of your audio system. There are tweeters made from paper and these are light but very responsive. Tweeters made with polymers or silk are made to bend the sound in a very smooth way. In general, there are dome tweeters that give better dispersion than cone tweeters. There is also a combination of the two called a dome balanced tweeter where a dome is inside a cone. Can I Use the Factory Radio to Power My Speakers? Yes, but honestly, most aftermarket speakers can perform better with more power. Also, there are some specifications that require more power so you might have to check the specifications before purchasing. If you are on a tight budget, you can use your factory radio for the meantime so you can save money and buy a new one. However, if your speakers specifically state that it needs more power to function, it’s better for you to follow their instructions. If you want to hear good quality surround sound to accompany you while you drive for hours, you need high-quality speakers to help you bring your car’s audio system to life. When it comes to speakers, you have to consider if you need component or coaxial speakers. Coaxial speakers offer full range sounds while components are made to be sound-specific. The answer depends on your audio needs, the car size and how much your budget is. Components give you a better range and a higher quality sound but coaxial speakers are more affordable and easy to install. Here are some more information about these two types of speakers. Component speakers are usually sold by set or separately. These speakers receive different types of sound requirements and when put together will give you the sound quality that you want. There are tweeters that are made to enhance the clarity of high frequencies (2,000-20,000 Hz) as well as the mid-range speaker that is responsible for middle notes (300-5,000 Hz). The woofers take care of the low bass notes (40-1,000 Hz) and you have the super tweeters that can detect any sounds which ordinary tweeters miss. To complete your audio system, you can count on the subwoofers to add to the quality of your bass sounds by helping the woofers handle them. Coaxial speakers are more commonly known as full range speakers that compress the function of the component speakers into synchronized axes. It’s very budget-friendly and is great at saving space. It’s good to know that you can always tweak some parts of this system to make the sound quality better. A normal coaxial speaker is made up of a woofer that has a tweeter above it. However, there are also those that have a 3-way design including a mid-range and a tweeter. Coaxial speakers became available in the 70’s so they are old school but still functional. This can be measured in decibels (dB) and specifies the loudness of the speaker. The speaker’s sensitivity can be determined by an echo-free environment. Some brands give details about the kind of room that they test the sensitivity in to help customers make their choice. The results of sensitivity that is measured inside a room environment are usually inflated by about 2-3 decibels over a non-echoing environment. A higher sensitivity rating produces a louder sound from the speakers. On average, speakers have 87 to 88 dB of sensitivity. This means that a speaker that has 90 dB rating for sensitivity is excellent. This is usually measured by using Watts and specifies the speaker’s capability to handle the amount of power sent to the speaker without any damages. In general, speakers have two kinds of power ratings: continuous or RMS and peak. RMS is the continuous output that the speaker can handle without being damaged while the peak power rating is the maximum amount of instant power that speakers can handle. 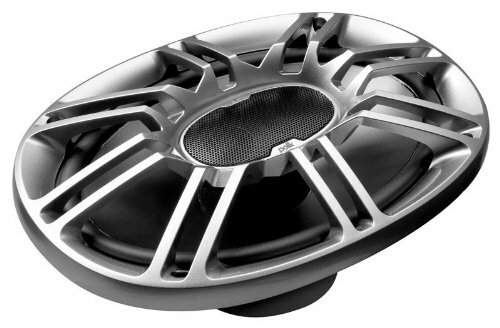 Before you shop for the best 6×9 speakers, you should get some information on the ones already installed in your car. Once you decide that they really need to be replaced, you can take them out so you can measure them. Remember, if you want to replace old full range speakers with newer full range ones, you have to get the configuration and size to match. 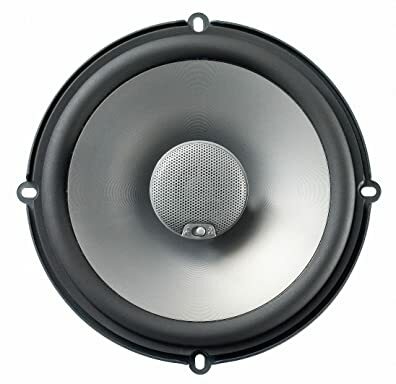 Most stores can help give you the details of your speakers based on the model of the car that you have. You have to check your budget before shopping for thebest 6×9 speakers. Setting up your car’s audio system can be costly. While it’s true that getting new speakers can enhance the quality of your music experience, you don’t have to spend all your money on it. You can choose a range of options when it comes to your audio system’s price that will fit your budget. When you start deciding for the kind of car speakers that is best for you, it’s good to consider the added features that you want to come with them. First, think if you need some detachable tweeters for added mobility. You might also want pivoting tweeters which are great to use in tight spaces and allow users to rotate the speakers to their direction. You have to remember that no matter how much you invest, the car’s audio system will never be able to raise the price of your car. They also don’t have the capability to add more years to your engine’s lifespan and they don’t really have any other function other than entertainment. You have to understand the true value of your car’s audio system; however, you can easily remove the whole system whenever you want. When it comes to your car’s audio system, you only deserve the best 6×9 speakers to make sure the sound is complete, crisp and clean. If you want to hear more mid-tones and voice, you might want to consider buying a pair of these speakers. If you’ve decided to buy yourself a pair of these speakers, you need to make sure that you are aware of the configuration and specifications that you need. The Kenwood KFC-6965S is the number one selling car speakers today because of its superb construction that produces high quality sound. Remember, your speakers need to compliment the configuration of your amp and subwoofer so you still have to read the details very carefully to make sure that they jive. To avoid wasting money, you might want to consider the best 6×9 speakers that offer a good deal and warranty.